The best way to protect yourself and your loved ones against influenza is to get a flu vaccine every flu season. Flu is a contagious respiratory disease that can lead to serious illness. The CDC recommends everyone six months and older get an annual flu vaccine. At Mobile Physician Services, we have the Flu vaccine available. Plus, we can give family members of our patients’ flu shots. For more information on receiving a flu vaccination from Mobile Physician Services, call 855-232-0644. 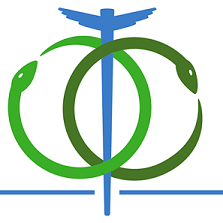 At Mobile Physician Services, we see patients in Alachua, Broward, Citrus, Collier, Hernando, Hillsborough, Lake, Lee, Marion, Manatee, Palm Beach, Pasco, Pinellas, Polk, Osceola, Orange, Sarasota, Seminole, Sumter, and Volusia counties of Florida. As MPS continues to grow, new counties are being added. Our physicians, physician assistants, and nurse practitioners visit our patients at their homes, as well as at Assisted Living Facilities. According to the Centers of Disease Control and Prevention, each year in the U.S., about 237,000 cases of breast cancer are diagnosed in women and about 2,100 in men. About 41,000 women and 450 men in the U.S. die each year from breast cancer. The United States Preventive Services Task Force (USPSTF) is an organization made up of doctors and disease experts who look at research on the best way to prevent diseases and make recommendations on how doctors can help patients avoid diseases or find them early. USPSTF recommends that women who are 50 to 74 years old and are at average risk for breast cancer get a mammogram every two years. Women who are 40 to 49 years old should talk to their doctor or other health care professional about when to start and how often to get a mammogram. 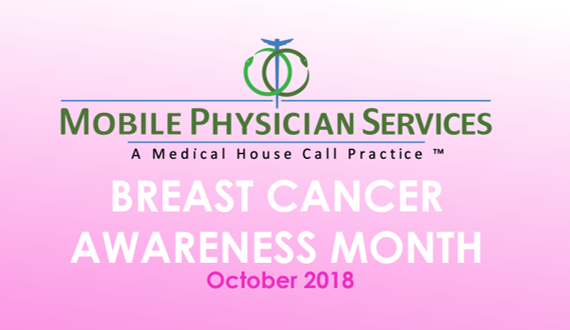 Women should weigh the benefits and risks of screening tests when deciding whether to begin getting mammograms before age 50.
https://www.mobilephysicianservices.com/wp/wp-content/uploads/2018/08/MPS-Logo_With-Tag_RGB-01-300x104.png 0 0 B. Conway https://www.mobilephysicianservices.com/wp/wp-content/uploads/2018/08/MPS-Logo_With-Tag_RGB-01-300x104.png B. Conway2018-10-01 16:20:152018-10-01 16:20:15October is Breast Cancer Awareness Month.